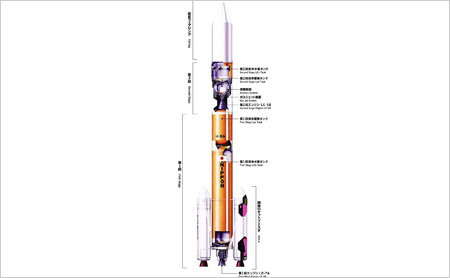 H-IIA, Japan's primary large-scale launch vehicle, is designed to meet diverse launch demands, at lower cost and with a high degree of reliability, by making the best use of the H-II launch-vehicle technology. The simplified design and improved efficiency of the manufacturing and launch processes of H-IIA have achieved one of the highest performance to cost ratio of launch system in the world, reducing the cost of launches by a half or more. 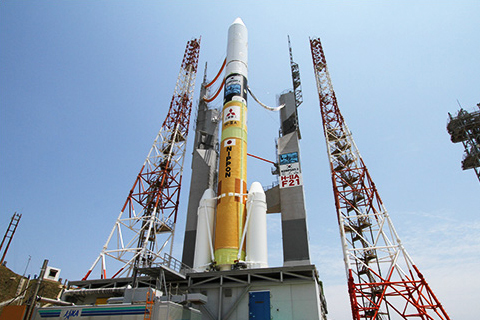 JAXA is conducting the H-IIA upgrade project to improve the H-IIA launch capability and its global competitiveness. 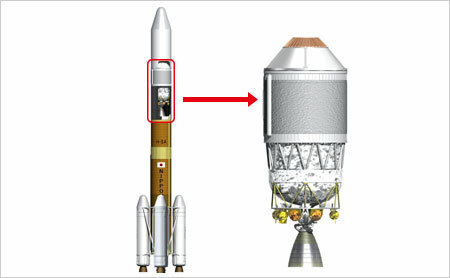 H-IIA Launch Vehicle can be in various configurations by installing solid rocket boosters (SRB-As) additionally. 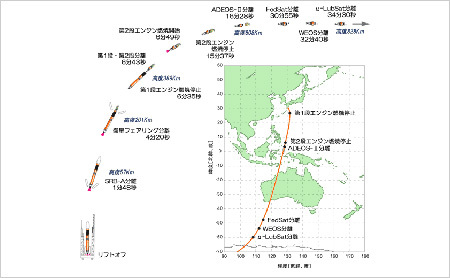 H-IIA can answer various launch needs of payload size and weight by its family members. * Currently, only H2A202 and H2A204 types are in operation. 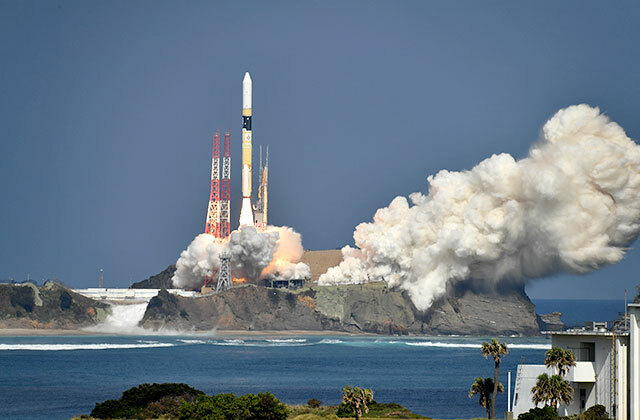 JAXA is proud of the launch success rate of the H-IIA Launch Vehicle, which is among the highest levels in the world. However, as it has been 14 years since its maiden launch, some issues have been raised such as the aging launch facility and the need for a larger payload launch capacity. JAXA is conducting the H-IIA upgrade project to tackle those issues. We will achieve more efficient launch vehicle operations by improving H-IIA launch capability and its global competitiveness, and simplifying the ground facility. By increasing the duration of flight time and the number of engine ignitions, more flexible flight patterns become possible, and the launch capability of a geostationary satellite is also increased. The onboard environment has been improved for payloads to among the highest levels in the world by adopting a mechanism that is not based on pyrotechnics. Ground tracking radars are no longer necessary as the onboard flight safety navigation sensor was developed. F35 H2A204 8/19/2017 Quasi-Zenith Satellite-3 "MICHIBIKI No. 3"
F34 H2A202 6/1/2017 Quasi-Zenith Satellite-2 "MICHIBIKI No. 2"
F31 H2A202 11/2/2016 Geostationary Meteorological Satellite "Himawari-9"
F26 H2A202 12/3/2014 Asteroid Explorer "Hayabusa2"
F25 H2A202 10/7/2014 Geostationary Meteorological Satellite "Himawari-8"
F18 H2A202 9/11/2010 Quasi-Zenith Satellite-1 "MICHIBIKI"
Interplanetary Kite-craft Accelerated by Radiation Of the Sun "IKAROS"
* H-IIA F6 was consequently destroyed by a destruction command from the ground as the vehicle did not gain enough height and speed due to the failure.